Marwin Lizama and 46-year-old Emerito Itza were treated and released after no open wounds were observed. Itza had a swollen right eye along with other injuries, and seemed to be seriously wounded. Itza was released then re-admitted to the PolyClinic the next morning and later transported to the Karl Heusner Memorial Hospital on Thursday afternoon. 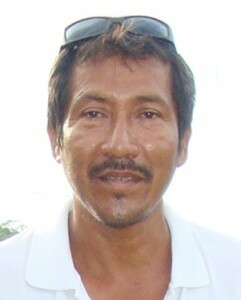 At KHMH Itza received several operations in an attempt to save his life. However, early Monday morning, he succumbed to his injuries. Based on information received, San Pedro police picked up one individual. During questioning, the minor revealed the names of the other individuals who were later picked up. The four boys are of ages 14 and 15. According to police, the minors allege that there was altercation between the elders and themselves during which they were forced to defend themselves with stones. A file has been composed with statements and relevant documents and has been submitted to the Department of Public Prosecution awaiting a directive as to how to proceed with the case. If charged, the minors are looking at a joint charge of Murder which will see them spending time at a Youth Hostel for the duration of their trial which could last anytime from months to years.